As you may or may not know, a massive book store chain is in equally massive trouble here in Australia and has been forced to hold massive sales before disappearing from the landscape. I joined the crowds flocking like vultures around a stinking carcass (nice imagery, yes?) last weekend and wrapped my talons around an amazing book imaginatively titled Fashion that had been reduced by 30% down to only $38. I was extremely excited, as it’s a collection of photos from National Geographic magazine, and everyone knows the standard of National Geographic photos! The whole book is fabulous, but here’s just a small collection of shots, with the theme of “Asian beauties”. 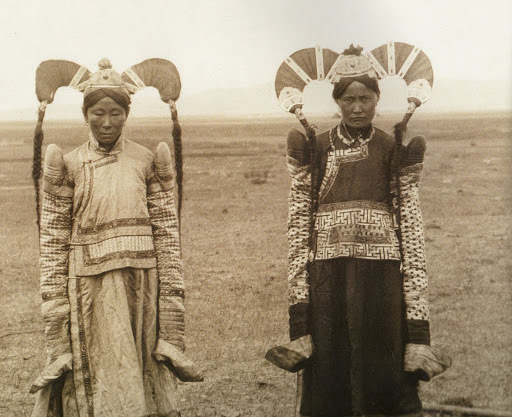 All I have to say about this shot is, Lady Gaga, you’ve got a long way to go before you can even begin to compare with these ladies from Mongolia back in 1921. Their hair is arranged over a framework resembling mountain sheep horns and I don’t know why their sleeves are so long but the cuffs are shaped like horse hooves because horses were (are) so important in their culture. (They’re wearing boots with upturned toes but the book is square and I couldn’t fit the whole pic in my scanner). This lady is a dancer from the Atayal tribe and this shot was taken in Taiwan in 1982, even though I think it looks like it’s from the 1930s. 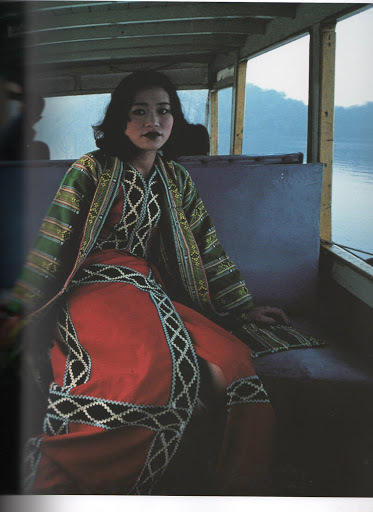 Love the gorgeous ethnic outfit, love the hair and dramatic makeup, love that she is on her way home by boat after a performance. And last but not least, this pair from Japan, 1918. If you’re going to bother having a cuppa, you may as well get dressed for the occasion. 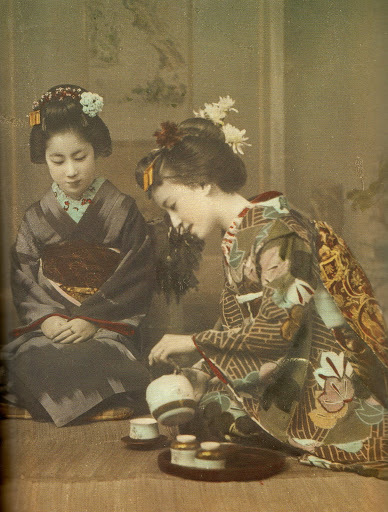 (Although, truth be told, I have been to a SHORT version of a real Japanese tea ceremony and I nearly fell asleep. Maybe that’s why these girls have so many hairpins – to wake them up if they should happen to lie down to sleep). ← Dyeing to know your opinions! Stunning shots. I love the Himalayan jewellery. 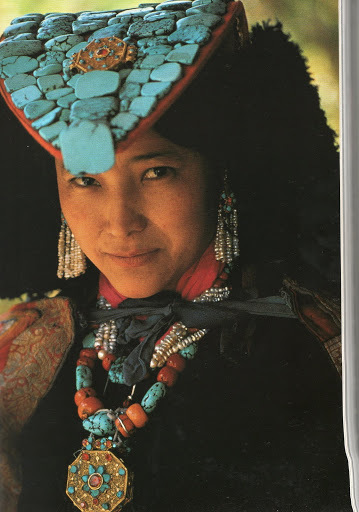 That is serious jewelry on the Himalayan woman. Thanks for sharing these photos-they are fascinating. Oh, and side note, our VW Beetle is black, not orange. Now I have to know if your dad's was black! Oh, Katie, my dad's VW was white. So there you go. Not so much of a parallel universe after all.